Born in Malden, Massachusetts, Freeman Tilden first began writing as a book reviewer for his father's newspaper. Later, he worked as a reporter for newspapers in Boston, New York, and Charleston. As a novelist and playwright, he traveled around the world. 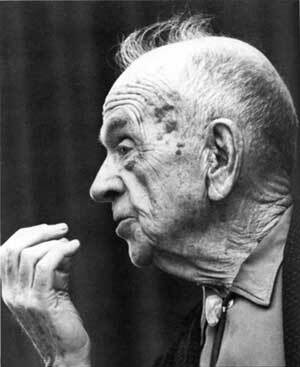 In the early 1940s, Freeman "tired" of writing fiction, and with the encouragement of Director Newton B. Drury, began to write about the national parks. The National Parks: What They Mean to You and Me was published in 1951. Publisher Alfred Knopf called it ". . . the best book ever written" on the parks. Other works included, The State Parks, Following the Frontier, and The Fifth Essence. At the age of 96, Freeman died on May 13, 1980. All of us have heroes  people who, through their words or actions, have enriched our lives; people whom we strive to emulate. To countless National Park Service interpreters, Freeman was such a person. To many, he was a fatherlike friend and confidant; to all, he was advisor and mentor. With the publication, in 1957, of Interpreting Our Heritage, he gave form and substance to the profession of interpretation. In that slim volume, he articulated six timeless principles that have guided and sustained the practitioners of the art for more than three decades. In publishing jargon, Freeman's "numbers" are good. They reveal the extent of his influence  third edition, twelfth printing, 62,500 copies in print! "The early Greek philosophers looked at the world about them and decided that there were four elements: fire, air, water, and earth. But as they grew a little wiser, they perceived that there must be something else. These tangible elements did not comprise a principle; they merely revealed that somewhere else, if they could not find it, there was a soul of things  a Fifth Essence, pure, eternal, and inclusive." With the dedication and love of a "happy amateur," Freeman has enabled generations of interpreters to add the dimensions of provocation, meaning, and relevance to the experience of millions of park visitors. Through the art that he defined, he has helped them to discover the "Fifth Essence." Freeman Tilden is the "soul" of interpretation.